I recently got into a car accident, so I’ve been taking a couple weeks off from blog posting, but with my recovery taking positive steps this weekend I decided to do some Spring baking! 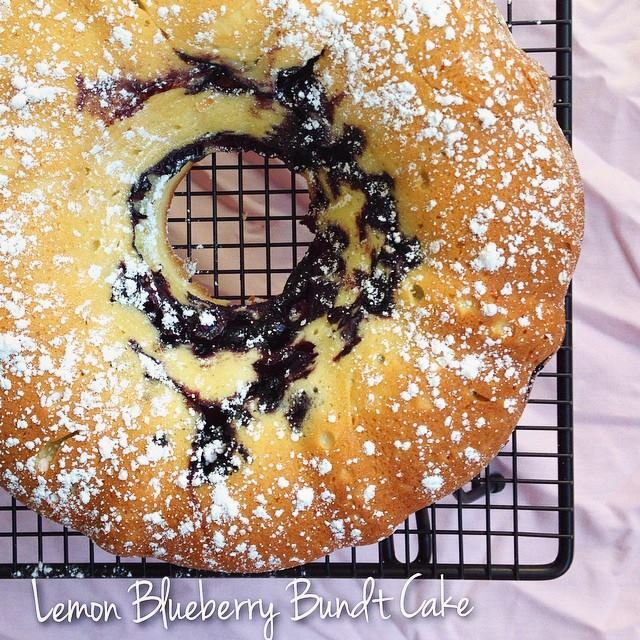 I wanted to bake something refreshingly Spring-y and landed on making a Lemon Bundt Cake. I also had some sour cream in my fridge, so looked into finding a pound cake recipe that incorporated this ingredient. After doing some research I found a recipe I liked online, but I excluded using Jello lemon pudding mix and instead increased the amount of fresh lemon juice while cutting down the butter and sugar quanities. This recipe was super easy to put together and the cake turned out perfectly moist! I also added some blueberries, as I love that combination of berries with a tart lemon flavour. You can sprinkle the cake with icing sugar, or make a lemon icing frosting like in the ‘Copy Cat Starbucks Raspberry Lemon Loaf’ recipe I baked last year. CREAM: together butter that has been softened and sugar. Add in eggs (*quick tip is to soak the eggs in warm water for 10 minutes to make them room temperature) one at a time, beating after adding in each egg while scraping down the sides of the bowl. Add in sour cream until all combined. COMBINE: flour and baking soda together. Add the dry mixture into the wet mixture and blend until combined. Lastly mix in vanilla, lemon extract, lemon zest, and lemon juice until batter is light and fluffy. BAKE: in greased Bundt pan for 70 minutes. 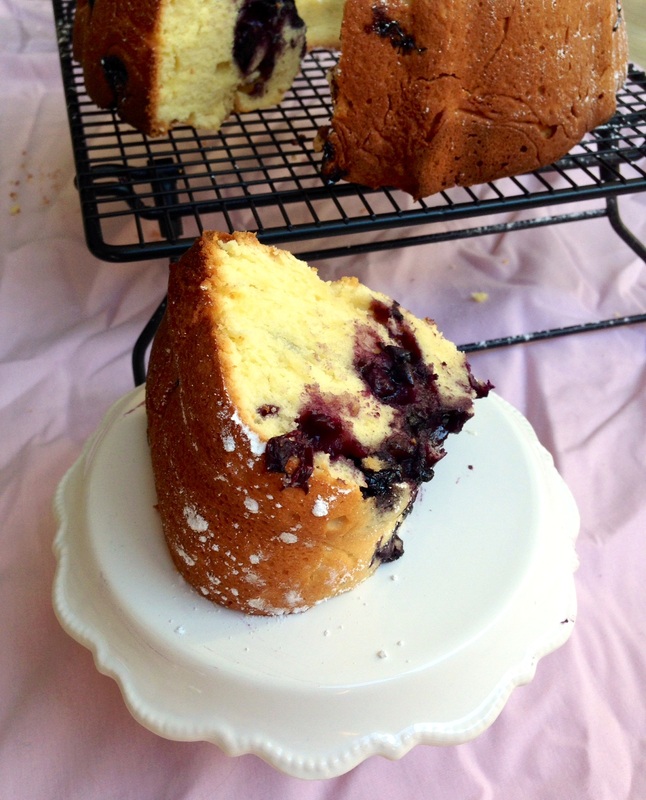 Posted in Baking, CakesTagged art, baking, blog, bundt cake, cake, dessert, food, lemon blueberry, photography, photos, pound cake, recipes, sour creamBookmark the permalink. That would go great with a coffee. Do you have any left? Everyone killed it in the office lol or else I’d give you a slice! Looks beautiful and delicious too!! THIS CAKE IS SO BEAUTIFUL. Blueberries and lemon is bae. Aw!! I usually thump out the pan so that the batter is sitting as smooth as possible to the pan :) either that or the batter might be too thick and not form well enough to the molds. Hopefully that help! I have this really old vintage copper fluted pan, and maybe recipes back then just made less cake?? The bundt cake looks good that I’m going to save this recipe. :) Definitely an easy go-to recipe to keep!